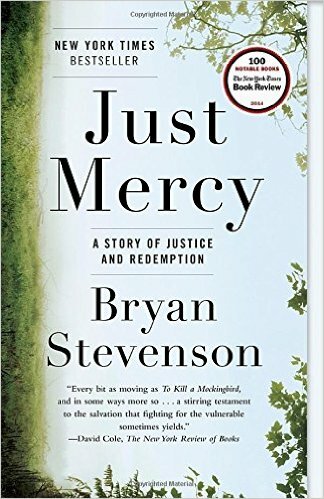 My book club's May selection was Just Mercy by Bryan Stevenson. 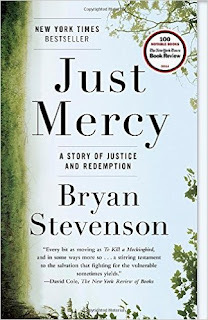 I had started reading this nonfiction book about the author's work representing men, women and children who were on death row in March but finished the book in April. This is an eye-opening story that everyone at my book club discussion agreed should be required reading for law schools and police officers and even legislators who are making the laws related to judgements. I learned too many shocking and disturbing facts about the way our justice system works, including the fate of children who are tried and convicted of crimes as adults. I highly recommend this book, especially if you have someone with whom to discuss it. 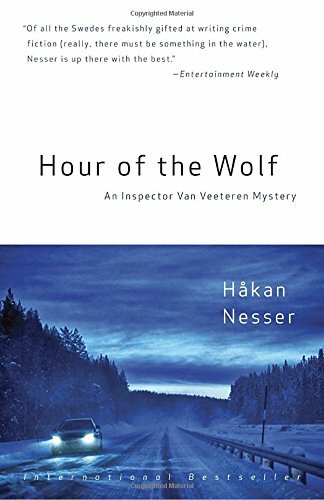 Hour of the Wolf by Håkan Nesser is the first book I read for the readathon. This crime fiction novel was quite compelling as it followed a man who tries to cover up a horrible accident, but in doing so, makes things much worse. 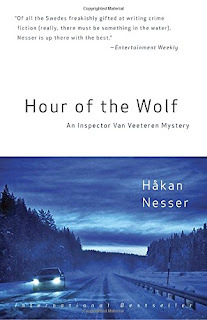 At the same time, Nesser brings the reader into the world of the investigators trying to solve a crime related to retired Chief Inspector Van Veeteran, who has appeared in previous novels in this series. This was my first novel in the series and I didn't feel that I was missing anything. Since I got this one from the publisher in exchange for a review, I plan to write a more in-depth review - or possibly record a video review - in the near future. 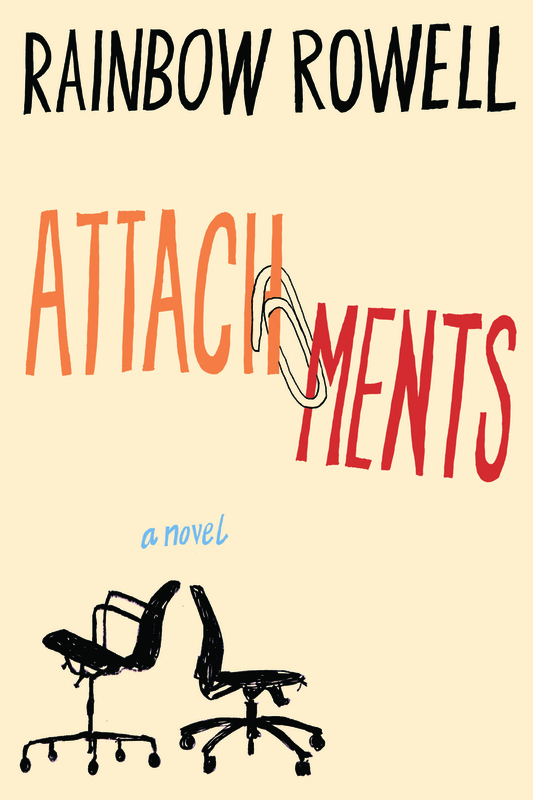 I've read a couple books by Rainbow Rowell, so I was excited to read Attachments. This unique novel is told through a combination of emails between two women who are working at a newspaper, and standard chapters written from the perspective of the guy whose job it is to monitor emails that are flagged for inappropriate words. I really loved the nature of the story, but I didn't enjoy this one as much as I enjoyed her other novels. I spent most of novel feeling a little creeped out and wondering how this could possibly resolve itself in the end. Rowell pulled it together, but I just wasn't crazy about this one. 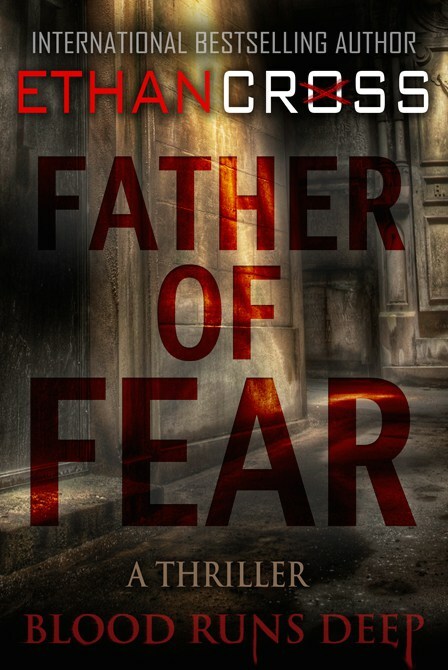 The one book that really went along with the Spring Into Horror readathon theme was Father of Fear by Ethan Cross. This is the third in the series; I read the first two books quite a while ago but never got around to reading this one. Although rather disturbing, I liked getting back to these characters and seeing how they solve a crime involving a very sick man who has a close connection to the main character. This is one of those stories where the lines between good guys and bad guys gets blurry. I am determined to write a few additional blogs in May, including a recap of my daughter's 40 book challenge, which will feature a lot more than 40 book recommendations for late elementary and early middle school kids. I also plan to write a full review of Hour of the Wolf as well as a Jojo Moyes novel that I read earlier this year and never reviewed! May will finally be the month when I get some writing done. 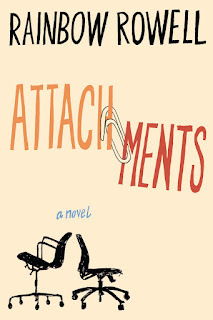 Attachments is one I'd like to read. Happy May! Wow, Just Mercy sounds very powerful. I was similarly moved by John Grisham's An Innocent Man (nonfiction about an innocent man on death row). I can;t believe it but I still have not yet read a Rainbow Rowell novel! I must rectify that soon.